A pioneering drone flying course is about to commence at TAFE NSW Riverina Institute as the federal government moves to relax laws governing their use. Certified drone pilot Nic Wilke will teach in the course, and hoped it would appeal to hobbyists and professionals alike. “We’re definitely targeting those who want to use a drone professionally,” he said. In recent years agronomists have taken to drones, using them to monitor crops and keep an eye on livestock through infrared imaging. 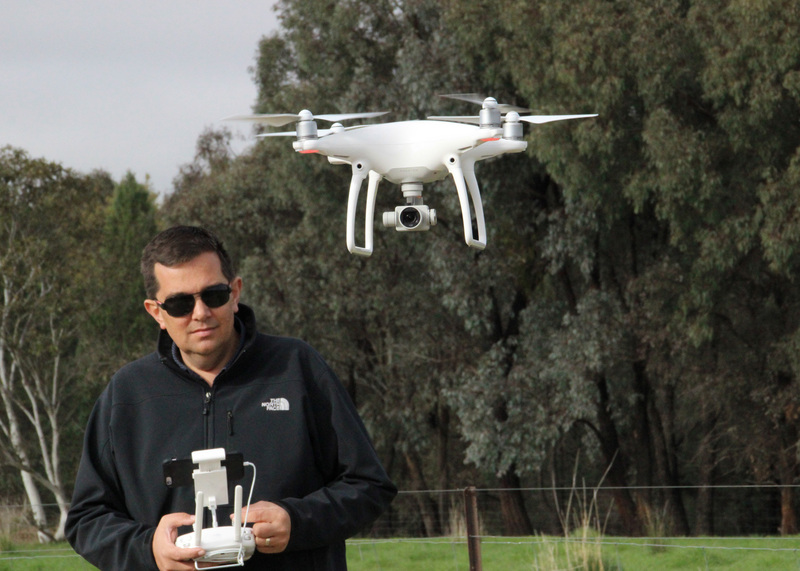 A workshop about the emerging use of drones in agriculture was attended by 30 landholders at Fellow Hills last week. Hosted by Holbrook Landcare Network, project officer for farming systems Thomas Carberry said predominantly agronomists were using drones but the uptake in farmers was increasing. “They’ll contract out an agronomist who uses drones to fly over their crops and take infrared images of their crops, and from that they can identify plant health and save on fertiliser use if they can identify specific areas that they need to fertilise,” he said. The Drone Essentials course is divided into two units: an online theory component and a classroom lesson over one day. A second day is dedicated to flight training out in the field and then students will be assessed in an exam. If successful, they will receive a certificate of competency. “We teach people how to set up a drone and how to safely operate a drone,” Mr Wilke said. The Civil Aviation Safety Authority announced new laws will come into effect which will allow people to operate drones lighter than two kilograms without a licence in September. “We want to educate people on those new regulations with what they can and cannot do,” Mr Wilke said. Mr Wilke was also in talks with the Australian Association with Unmanned Systems and an aviation insurance company so graduates could be underwritten by an insurer.